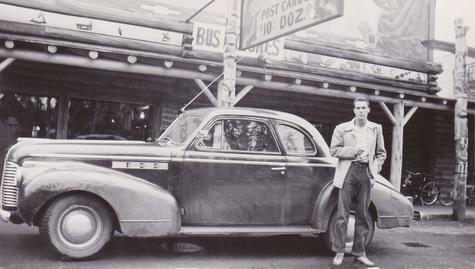 My dad in front of old car. Hey! Does anyone know what kind of car this is?? ?